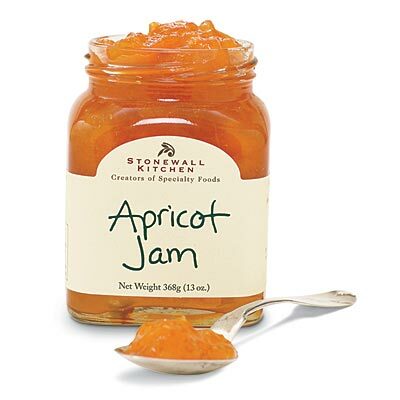 Stonewall Kitchen Apricot Jam - This versatile apricot jam, with a slightly tart flavor is simply delicious spooned over warm scones, pancakes, or biscuits. Heat Stonewall Kitchen's apricot jam & drizzle over pound cake, or use as a glaze for apricot strudel. Added to pan sauces, the slightly tart flavor complements pork, poultry or lamb.